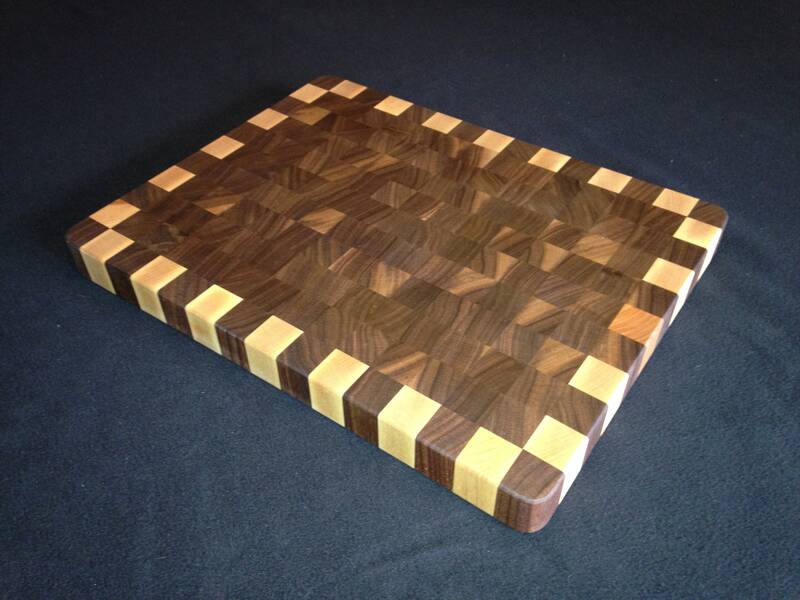 Our end grain cutting boards are beautiful and durable for every day use. 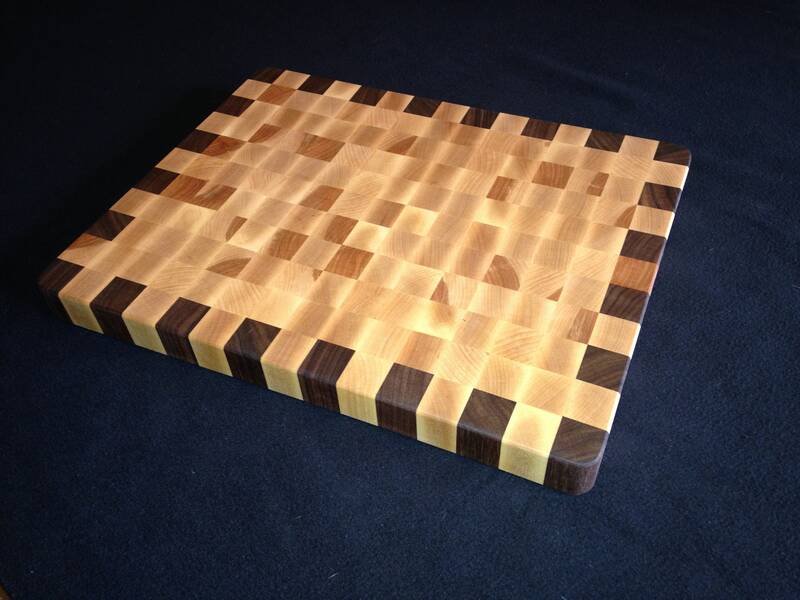 End grain is the heartiest grain of the natural wood and stands up to heavy chopping jobs. 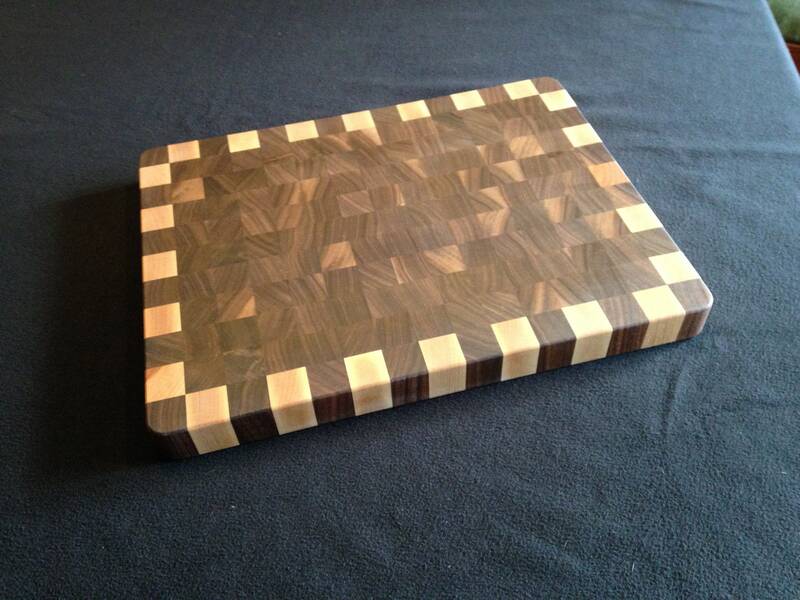 Our boards are a combination of birch and walnut - you choose which wood will be more prominent as the center of the board (darker wood is walnut; lighter wood is birch). Finished with food-safe beeswax and mineral oil. 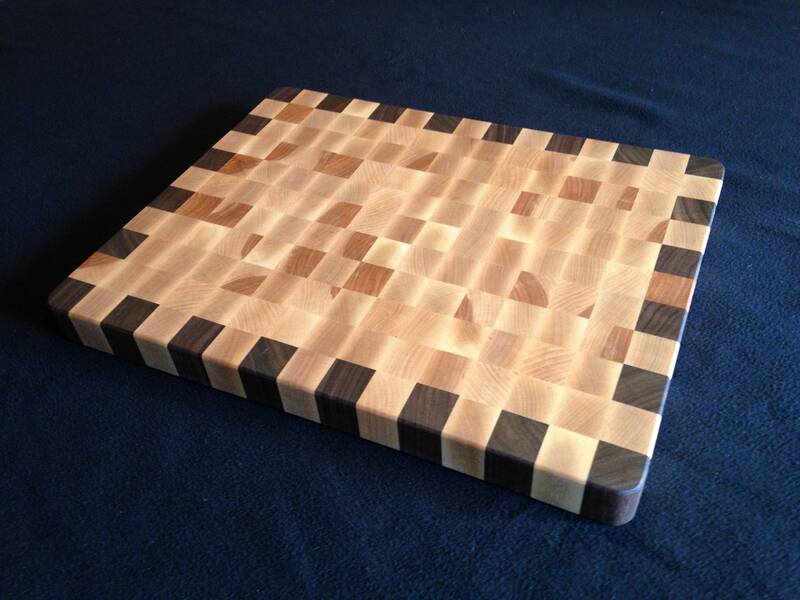 Note about custom orders: You can custom order this board in any size and/or with just one wood instead of the combination. Send me an Etsy convo with dimensions and I can set up a special Etsy order for you.